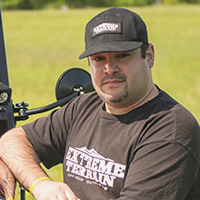 ExtremeTerrain no longer carries the Off Camber Fabrications by MBRP Front Roof Rack Extension - Black Coated (07-18 Jeep Wrangler JK 4 Door). Please check out Jeep Bike Racks & Cargo Racks for an updated selection. Construction. The Off Camber Fabrications front roof rack extension is an addition to MBRP's Off Camber Fabrications rear roof racks, extending them forward to add extra capacity. The extension is made out of 2 inch mandrel bent steel tubing for sturdiness. Rust is prevented by the extra heavy duty coating of powder coat paint, which also resists scratches and chips and increases the item's longevity. It weighs 20 pounds and measures approximately 72.5 inches wide and 35 inches deep. Specs. This front roof rack is fully modular, allowing placement and removal basically at will. It is hand built and assembled to the highest standards and has been field tested to assure quality. Features & Accessories. The Off Camber Fabrications front roof rack extension must be used with Off Camber Fabrications' 4 door roof rack system or 2 door roof rack system. Application. This front roof rack extension is made to fit MBRP's Off Camber Fabrications Roof racks on 2007-2018 Jeep Wrangler JK 4 door vehicles.